Kobe, Japan-based Hirano Logistics which is a large Road Feeder Services (RFS) operator in Japan together with Swiss WorldCargo has come up with novel idea on how to promote Swiss WorldCargo’s services in Japan. 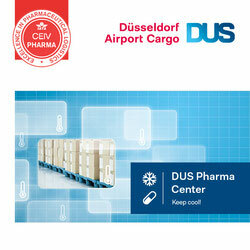 The company displays a three-dimensional scenario of a Swiss Boeing 777-300ER aircraft on their brand new temperature controlled vehicle which carries pharmaceuticals and other sensitive goods throughout Japan. The truck shows the B777-300ER from three different angles. The right side portrays the rear side of an aircraft engine along with Swiss WorldCargo livery and the left side shows a Swiss WorldCargo aircraft over the Swiss Alps. To round the picture off, the back of the truck portrays an impressive take-off scene. Swiss operates a daily service between Zurich and Tokyo’s Narita Airport. The LATAM Group has sold its shares in its Mexican subsidiary Aerotransportes Mas de Carga, S.A. (“MAS Air”) to a group led by current shareholders for an undisclosed amount. The carrier conducts flights between its home base Mexico City Juarez International, Latin American destinations and the U.S., predominantly Miami and Los Angeles. Established in 1992, it operates a single Boeing 767-300ERF which was acquired in 2006. In December 2000 LAN Airlines purchased a 25% stake in MasAir, which has been increased to 39.5 percent in the years after. Major MAS Air stakeholder is a Chilean group named Promotora Aérea Latinoamericana that acquired the LAN (meanwhile LATAM) shares. Promotora Aérea Latinoamericana’s president is Ignacio Cueto Plaza who has been elected Chairman of the Board at LATAM Airlines Group S.A. in April 2017 with a contract term of two years. His brother Juan José Cueto Plaza is Director of LATAM Airlines. Ignacio Cueto also led the establishment of the different affiliates that the carrier has in South America, as well as the implementation of key alliances with other airlines such as IAG and American. In addition to their prominent LATAM commitment the Cueto family is now majority owner in Mexican MAS Air that is fully independent from the LATAM Group since 1 December. It is just over a decade ago that Ethiopian Airlines started cargo services into Belgium’s Liege Airport. This milestone was celebrated at the recent 2nd Africa Aviation summit held in Nairobi and which was hosted by Astral Aviation and Liege Airport. 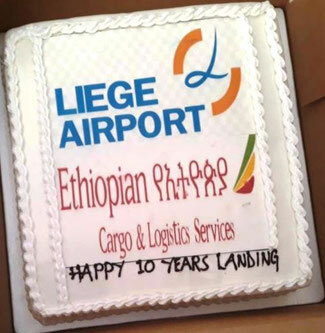 The 2020 summit will be hosted by Ethiopian Airlines Cargo in Addis Ababa and at the handover ceremony in Nairobi ET Cargo and LGG Airport made a point of celebrating their 10 years of cooperation. Ethiopian Airlines Cargo and Logistics as they are called today, started services back in 2008 with two leased MD-11 freighters. In the meantime, they operate a fleet of eight B777Fs, of which more are on order. At the ceremony the message from ET Cargo to Liege was that they should ensure that their long-term partners such as Ethiopian Cargo continue to receive optimal service as they continue to expand. Lufthansa Cargo has decided to change cargo handlers at Amsterdam’s Schiphol Airport. In what some see as a surprise move the German carrier has opted to change from present handler Swissport to Worldwide Flight Services (WFS). WFS will take over the handling of LH Cargo’s estimated 30,000 tonnes per annum as of 1. February 2019. The Paris-based handler already has quite a large operation at SPL where it is said that they handle more than 220,000 tonnes of air cargo per year. The handler serves around 70 airline customers in SPL and plans to expand their operations there during the coming year. Yuzhno Sakhalinsk which is situated in the far eastern part of Russia on the island of Sakhalin, is also it seems an important area for breeding cattle. 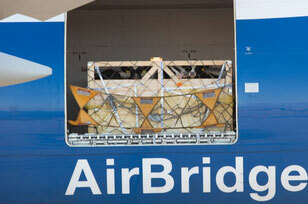 AirBridgeCargo Airlines (ABC) along with logistics experts Intradco Global recently moved 200 heads of special breeding cattle from Amsterdam to Yuzhno Sakhalinsk Airport from where they were distributed to various farming communities with the aim of helping to further develop the farming and agricultural industry in the region. Each of the heifers weighed in at around 500 kilos and were loaded in special containers. AirBridgeCargo’s ‘abc Care’ department handled the operation with their special procedures system which they say that every stage of the operation is monitored by their 24/7 Control Tower specialists. Live animal transport is becoming more important for ABC. 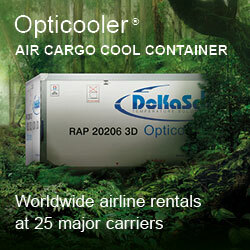 So far this year they have transported around 2,000 tons of live animals. This is an increase of 35% on last year. It is widely known in the aviation industry that the venerable Boeing 737 aircraft has developed into a reliable short and medium haul freighter. Many of the older B737 versions have been converted in freighters during the past years and are operating for cargo carriers across the globe. The Australian authorities have signed off on the use of a B737 as a firefighter aircraft. Tests held recently in the territory of New South Wales have convinced the Australian aviation authorities that this aircraft type has a future also as a water-bombing aircraft. It carries just over 15,000 litres (4,000 gallons) of water and fire-retardant. In addition, there is space on the main deck to transport up to 63 firefighters into areas where they are most needed. The aircraft was converted into its air-fighter role by Canadian company Coulson Aviation and is now on contract to the New South Wales Rural Fire Service which operates with a fleet of nine water-bombers, the largest of which can drop 45,000 litres in one go. CEVA Logistics Greater China organisation has moved the first ever TIR (Transports Internationaux Routiers) truck from Khorgos, China via Kazakhstan to Europe. 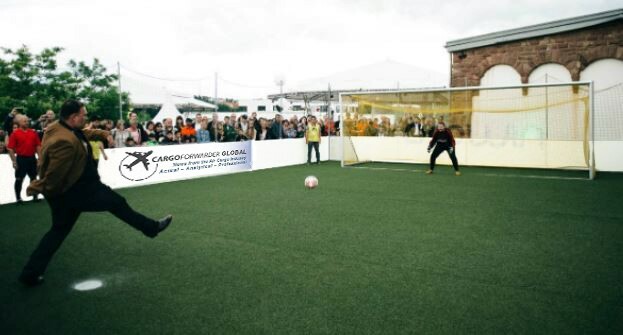 The 7,000 km journey which started on November 11th and ended in Poland on November 24th, and the TIR closing was finalized by November 26th. CEVA states that this new service, once up-and-running, will give customers a cost saving of around 50% compared to air transport. Furthermore, they state that a door-to-door time of between 10 to 15 days is possible, which is said to be 30%-50% faster than the overland rail options. During the past six weeks American Airlines Cargo have moved almost 420 tons of sweet chestnuts on their Rome Fiumicino to New York JFK flights. An average of 10 tons of chestnuts per day have been flown to reach New York in time for the Christmas festive season. The sweet chestnuts which originate from Italy’s south-western Campania region are harvested in the mountains and are packed in jute sacks before being delivered for air transport. This commodity is highly sought after by confectioners in the USA and is used in preparation of desserts, soups, flours and creams. They are also highly popular with chestnut roasting street vendors and as a traditional Christmas Turkey stuffing. The jute sacks containing the chestnuts have to be kept away from direct sunlight before they are loaded on AA’s daily B777-200 flights.